Blurb: Italian football is at a cross-roads, with World Cup failure representing its most tumultuous period. The loss of key individuals from the national team setup serves as both a boon and a bane in that respect. With Gianluigi Buffon hanging up his gloves, another Gianluigi is ensuring the blow from the formers’ retirement is softened. Analysis: When Sinisa Mihajlovic handed a then 16-year-old Donnarumma his debut against Sassuolo, it turned heads as a teenager in goal isn’t a common occurrence. But those who paid attention knew they were watching greatness develop. With an immense command of his area, you would be fooled into thinking he’s still in his teenage years. 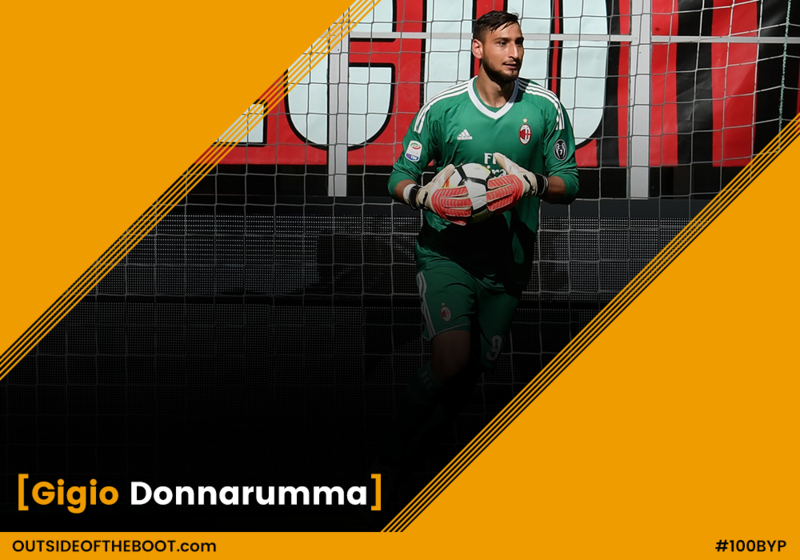 Showcasing terrific maturity to control the box and his defence, Donnarumma has developed the primary attribute that young goalkeepers often lack. At 6‘ 5”, Donnarumma is an imposing figure in goal, with a significant reach at shots and crosses played into the box. The AC Milan youngster developed his sweeper keeper skills from an early age, a factor that has grown to become a necessity in modern football. Quick to rush out of his box, Donnarumma has showcased fair decision making when faced with such situations. Looking Ahead: Donnarumma will firmly have his eyes set on securing the starting spot for the Azzuri after Buffon’s retirement. He’d represent a new wave for the Italians with effective changes required from top to bottom on the back of the failed World Cup qualification campaign, having lost a whole host of stalwarts in the process. At club level, Donnarumma will continue to play a key role in the side’s push to reclaim their rich glory days whilst also managing the love-hate relationship with the supporters. Blurb: It’s always rare for a young goalkeeper to be entrusted with first team football at such a young age. It’s even rarer when they are already the number one for their national team. Nineteen-year-old Farinez has already achieved both, as well as breaking a whole host of records along the way. 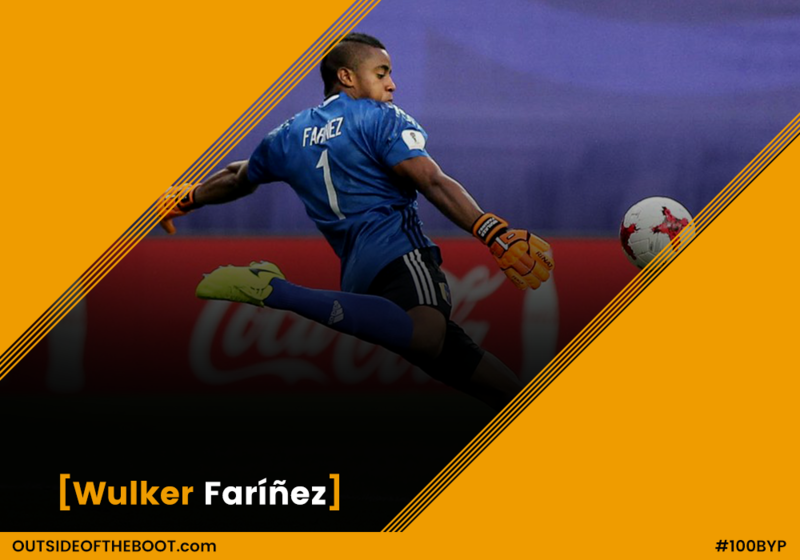 Having been a regular for Caracas since the age of 17, Farinez announced himself to a wider audience with excellent performances at the U20 World Cup and was a big reason for Venezuela’s progression to the final. It wasn’t too shabby for someone who only switched to the position five years ago. Analysis: Farinez boasts cat-like reflexes and is a great shot stopper. He may not be the tallest but his powerful legs give him an impressive spring which makes up for his lack of height. Agile and light on his feet, he’s also earned a reputation as a penalty expert and has already kept out Alexis Sanchez from the spot. Not content with just stopping them, he’s also fond of stepping up and taking one himself. Handling aside, it’s Farinez’s distribution that sets him apart. Particularly when kicking out of hand, he is able to accurately find teammates high up the pitch to initiate attacks – a particularly useful weapon for a team like Venezuela who aim to play on the counter. He is also quick off his line to sweep up behind his defence if necessary. The one big question mark about Farinez is his aforementioned lack of height. At 5’ 11’’ he’s on the smaller side for a keeper but his performances thus far have shown it to be no hindrance. He breeds confidence to the defenders in front of him and has already managed to keep clean sheets against the likes of Luis Suarez and Radamel Falcao. Looking Ahead: Having racked up more than seventy appearances for his hometown club before his twentieth birthday, Farinez is now set to join Colombian side Millonarios in the New Year. It’s a sensible step and the move across the border will ensure a smooth transition to a higher level. Capped seven times already by Venezuela, Farinez is well on his way to becoming their undisputed number one for the next ten to fifteen years. There will be healthy competition from Jose Contreras but Farinez and the rest of his U20 cohort will soon form the spine of a Vinotinto side with a real possibility of qualifying for Qatar 2022. 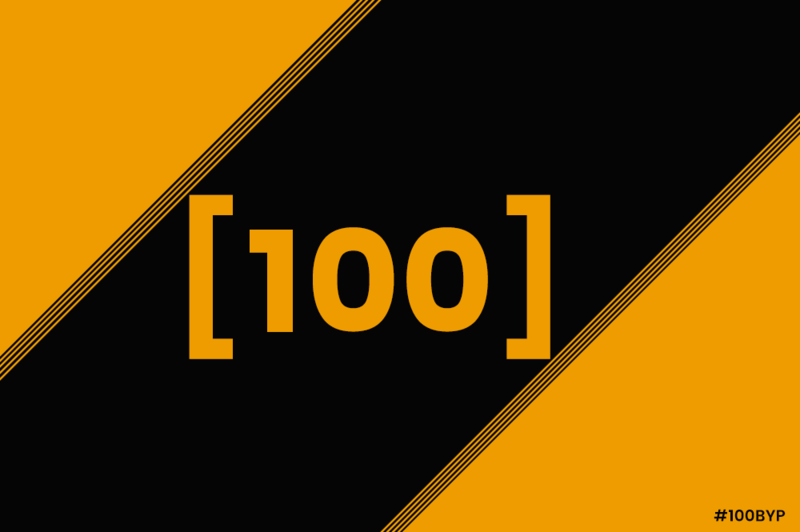 Blurb: Ligue 1’s youngest ever goalkeeper is making his second appearance in the 100 Best Young Players feature as a result of his rapid rise to stardom at Toulouse. Burkinabe-born Lafont has become a regular fixture within Le Téfécé’s starting line-up since his professional debut in 2015 and is regarded as one of France’s brightest talents. 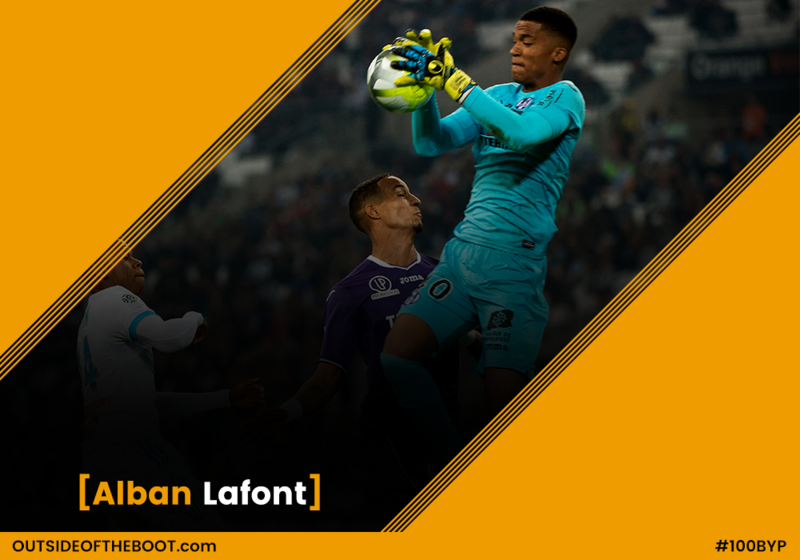 Analysis: Upon making his debut for Toulouse in 2015, Alban Lafont broke Mickaël Landreau’s long-standing record to become Ligue 1’s youngest ever goalkeeper at the age of 16 years and 310 days. He immediately assumed an undisputed starting berth within the squad thereafter and has since made eighty appearances for the club at the time of writing. Standing at 1.93m, Lafont’s height is arguably his greatest asset and he has used it to become a dominant figure in goal. By combining his reach with sharp reflexes and a gift for reading the game he has become a near impregnable figure behind the Toulouse defence. Still only 18 years old, Lafont has already recorded twenty-four career clean sheets in the league at an average of just under one clean sheet every third game, a figure which is emphasized by the club’s modest standing in Ligue 1. Further testament to his potential and rise in stature, Lafont was listed by Football Observatory as Toulouse’s most-valuable player in November 2017 , despite being the youngest player to regularly feature in their squad. Looking Ahead: Regular game time is an important factor for the development of a player of Lafont’s age and stature but there is an argument to be made that he has already outgrown Toulouse. The young Frenchman has attracted suitors across Europe and is likely to depart within the next few years – and even sooner if the club suffers relegation this season. Lafont has racked up over fifteen appearances for France across the various youth levels and the prospects are good that he will be a senior international in the future. Given his current rate of development, it would not be far-fetched to foresee him joining the French squad at the 2020 European Championships and 2022 World Cup, should they qualify. 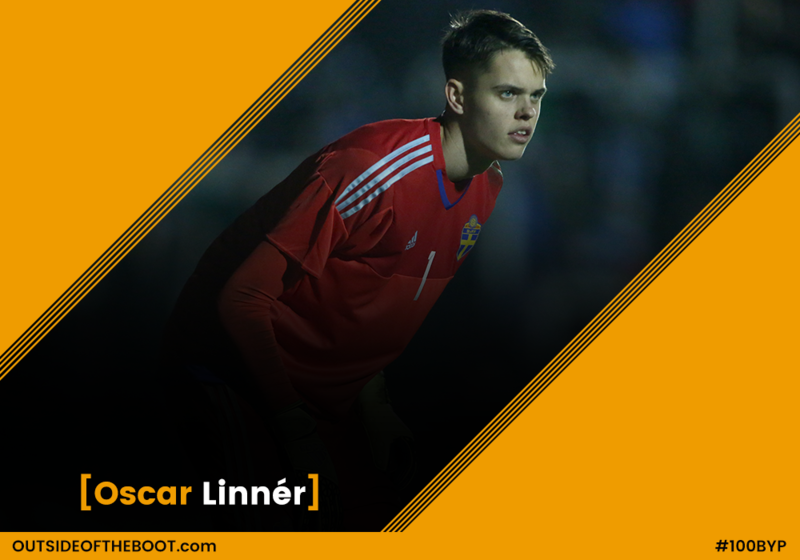 Blurb: Oscar Linner was given the reigns of the first-team at AIK and he proved himself the owner of some steady hands at the back. In 29 appearances and 2610 minutes, he never gave up more than two goals in a single match, solidifying AIK as the best defense in the league. It must be added that it was a rare day when they did give up two goals; giving up just twenty–two goals all season. Analysis: Linner casts an imposing figure between the sticks. At 6’6”, he makes a gaping net look small at times, and this is helped on by his tremendous ability to use his instincts as a keeper to keep the ball out of his net. His reach is a primary tool, as he can make stunning saves look pretty run-of-the-mill with his extensive wingspan, but he doesn’t get by just because he is a big man. Linner proved himself an expert in handling one-on-one situations with calm and composure, whether that situation was inside his box or outside. He has a quick mind when it comes to decision making and reads plays well, knowing when to come off his line and when to stay home. For a young keeper, the main thing you want to see is the ability to avoid mistakes, and Linner has done that incredibly well for his first year as a starter. He is a cool customer at the back and keeps his head even in chaotic times. Looking Ahead: Going into 2018, it’s impossible to think that Linner won’t start to garner international attention. A 20-year-old keeper with a solid frame and a cool head is what dreams are made of for teams searching for long-term keeping solutions. However, given that it was just his first year as a starter, you’d expect him to stay at AIK and prove himself for a second year and then test the waters of getting out there to a club that can continue his progression. For now, he is one of the best young keepers out there and starting with a top side in Sweden is going to provide him every opportunity to continue to grow into a rising star. Blurb: Having graduated from Anderlecht’s academy, the 18 year-old Belgian/Serbian goalkeeper is used to jumping categories, always being ahead of his age. At just 17 years of age, he started to work with his home club’s senior team, but never got the chance to make his professional debut. That opportunity came after his surprising and controversial move to Benfica (in disagreement with Anderlecht’s board). In his first match, he became the youngest goalkeeper to ever play for Benfica and in the following one he broke the record once held by Casillas for the youngest goalkeeper to ever play in the Champions League. In his third game, the Belgian wonderkid stopped a penalty from Anthony Martial at Old Trafford. They are promising signs from a player who never hesitates to take risks. Analysis: Svilar’s debut in Champions League had a calamitous error that led to Manchester United’s only goal in a 1-0 victory. After that, José Mourinho said the following: “Only a great goalkeeper suffers a goal like Svilar suffered. The mediocre goalkeepers would not suffer such a goal, for they would have stayed in goal. I like this kid, because he’s not afraid to leave goal. He’s a big talent”. This could very well be a description of Svilar’s style of play. He is never afraid to take bold steps whether on or off the pitch, never shying away from exercising his commanding personality upon his defence, having already shown a great deal of leadership qualities. His mental strength might very well be his biggest quality, for he is being exposed to a level of pressure which can compromise his progression and stable development. He has already shown a notable mindset when approaching the errors he has already committed. The son of a former Yugoslavian international goalkeeper, Ratko Svilar, he stands at 1.89 m (a physical structure which benefits any player in his position), Svilar shows that the apple does not fall far from the tree, displaying great agility, jumping ability and a vast set of resources when stopping shots. 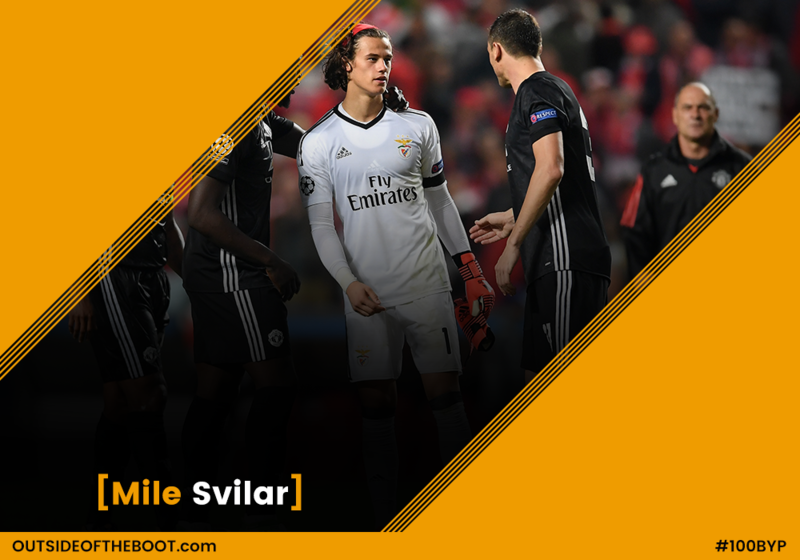 Looking Ahead: Although it was truly risky to move to Benfica at such an early stage of his career, Svilar seems to have found the perfect place to flourish as the top goalkeeper his potential shows he can become. It is just a matter of not being disappointed when on the bench, and profiting from every chance given. A bright future is definitely in sight for the Belgian wonderkid, as long as he uses his stay at Benfica as a crucial stage to develop his qualities before even thinking of another big move to a European giant.